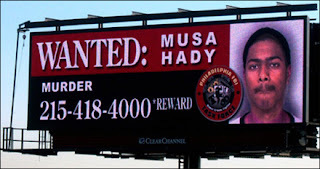 So now the FBI is using digital billboards to post AMBER alerts and America’s most wanted criminals in 20 cities across the U.S. It’s a brilliant concept that finally makes use of the flexible nature of digital outdoor. A good thing, because so far the price structure of digital outdoor is out of whack. With all the buzz about those glowing, digital boards, what is often missed is the cost is eight times as high as that of the same sized board with regular illumination. Here’s how it works. In LA, for example, an advertiser can buy a single unit on each of 10 digital displays in the Clear Channel Outdoor network. The ad would appear for 7.5 seconds as 1 in a rotation of 8 different ads — meaning that it is followed by 52.5 seconds of other advertising. The cost? About $8,500 net per digital board vs. $8,300 for a regular, full-time billboard (rates are unnegotiated and based on the Clear Channel Outdoor 2007 Media Planning Guide). No matter how bright the digital board looks, we’re not sure that’s a good deal. Mathematically, even if half the drivers caught your message, you’d still be paying about 4 times as much for the same number of impressions. Outdoor is a powerful media, especially as Americans spend more time in cars. We think digital media has huge potential for timely updates and even personalized messaging. Imagine weaving the day’s news into your outdoor creative, to hit consumers with something truly relevant. And we’ve heard that it costs Clear Channel and others more than $700,000 to put up each digital display, so they obviously need to recoup those costs. But until the price structure comes down, we can’t see spending 4 times as much for the same outdoor display just to have your name in lights. Perhaps the FBI partnership with Clear Channel isn’t total altruism; at these prices, outdoor vendors may have trouble filling inventory.